Better not have touched my traps. Eco-terrorists. Show me where they are and you can watch me, but you are clearly too much of a coward. Hunters disrupt the ecosystem,so WHO’S the ecoterrorist? Btw, your traps are perfectly safe as long as you don’t leave them outside lol Seriously. If I see a trap I will get rid of it too!! I’m afraid to watch the video. Is it gruesome or is it okay? You guys are awesome! I wish there were more good people like you removing those horrible traps! Killing wildlife is MURDER! 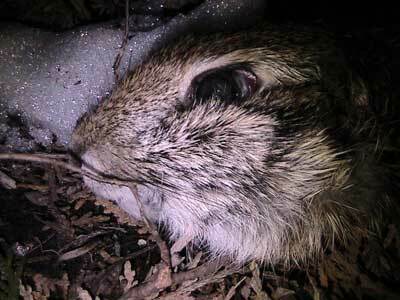 Rather, traps are a slow and painful emotional and physical torture. Thank you for all that you do for helping wildlife. You are Heros. Thank you, thank you, thank you for your work. thanks to the alf= we need more people like you all in the world. I love you people! the whole world needs to join in on this effort ..the real criminals against nature need to be brought to justice!!! !…Long live our wild beings! love them and you one and all! I haven’t read such good news in a very long time! Great work ALF and not a moment too soon! Fur belongs on the animals wearing it! Now we all need to get together to destroy the actual “Fur Farms”, like they have in China where they keep all the beautiful racoon dogs in tiny cages until their time is up! Shocking! Or the gorgeous minks, or the bunnies for lapin!!! Anybody who thinks wearing the fur of another animal is ‘cool’ needs to have their head read! Especially when there is so much ‘faux fur’ readily available! GO ALF! Great work ALF. You guys Rock!!!! Thank God for people like yourself. YEAH! BRAVO! How about Montana, Wyoming and Idaho next – how can I help? These people need to be stopped – preferably caught in their own torture chambers. Why aren’t you guys helping the Wolves? please! if you live way out in the wilderness and bush and it comes down to trapping an animal or hunting an animal to survive, YOU WOULD DO IT TO… you self righteous smug people living in cities wouldn’t last a week in the wilderness, of that I am sure… and not only that, but GOD (Jesus Christ) gave us animals to eat and use for clothing in a responsible way… I am much more in favor of just hunting and shooting the animal put a bullet through its heart and it dies instantly, no pain no suffering… and yeah I will be eating good venison stew living a LOT healthier than your vegan vegetarian paradigm diet manipulates you… that’s my 2 cents on wilderness living… like I said if you haven’t tried to live in the wilderness to get your food from nature, you really shouldn’t be commenting on any of this…. that’s the bottom line. may find it quite fascinating to help you in your task. Since salamanders are amphibians, they would rather choose moist and damp areas to live. “Defenders of Wolves” wants to send a big thank you to the ALF! Wish we could get more people to support wildlife than slaughtering it. 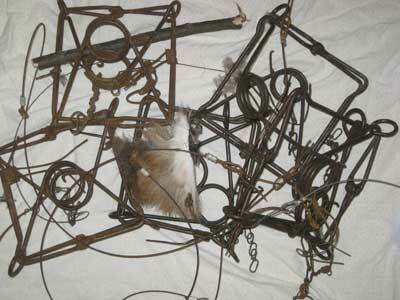 Traps are barbaric and should be destroyed across the planet. 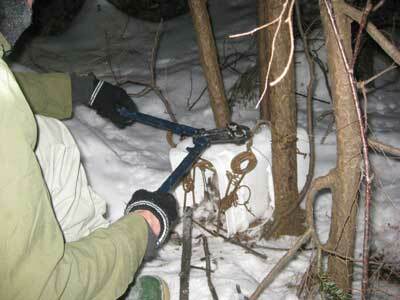 “SNAP THE TRAP” everyone, and if you are against this, how about putting your balls in a trap and see how you like it! there is absolutely no need for fur! Some people are just to cruel and selfish To Understand Karma will Get them. This is wonderful news. 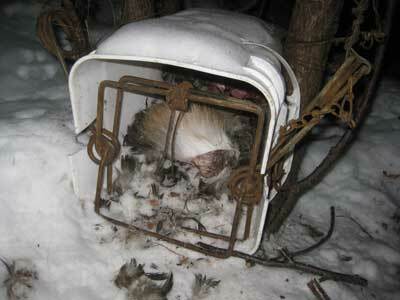 More traps need to be destroyed and the cruel fur industry has to be shut down. Please need to stop buying fur so there will be no reason to kill these beautiful animals.